The painting "Red Hot Flame Hovers in the Air" by Wu Youru, 1892. Within the painting is a description of a UFO sighting witnessed by the painter himself as well as hundreds of passersby. Anticipating the skeptics of this fantastic phenomenon, Wu explained why each of the various explanations one might provide to bring this otherworldly experience down to Earth. “It was about eight o’clock in the evening, September 28. In the southern sky of Nanking City appeared a fireball, egg-shaped, red without light. It floated in the air, slowly eastward. As the twilight sky was cloudy and dusky, its appearance was conspicuous. 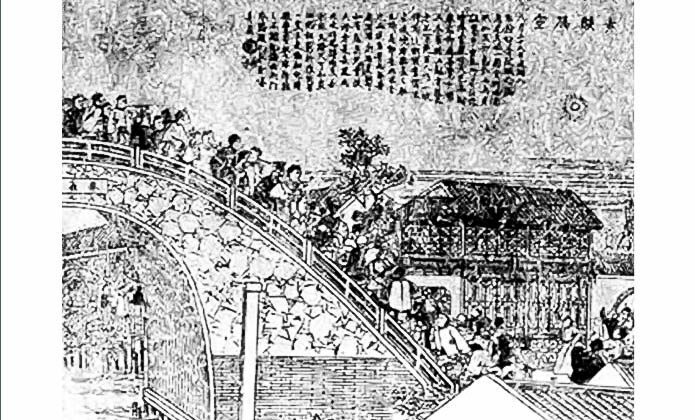 And on the Zhu-Que Bridge gathered a crowd of several hundreds, standing on tip-toe, craning their necks upward. “It lingered for a period of a meal’s time, fading into the distance little by little. Some said it was a meteor passing by. But a meteor took but an instant to slip away, while this ball’s movement, from its first appearance in the near sky to the final disappearance in the distance, was quite stagnant. So it cannot be a meteor. “Others said it was a lantern-kite that children flew. But the wind blew north that evening, while the ball turned eastward. So it cannot be a lantern-kite either. For a time everybody spoke, but none could solve the mystery. UFO sightings have been reported by hundreds, perhaps thousands, of people across the United States—including some U.S. presidents.